Located on a hill near the center of the charming fisherman´s village Ericeira, the Ericeira Chill Hill Hostel & Private Rooms – Peach Garden is blessed with a great view towards our beloved ocean. 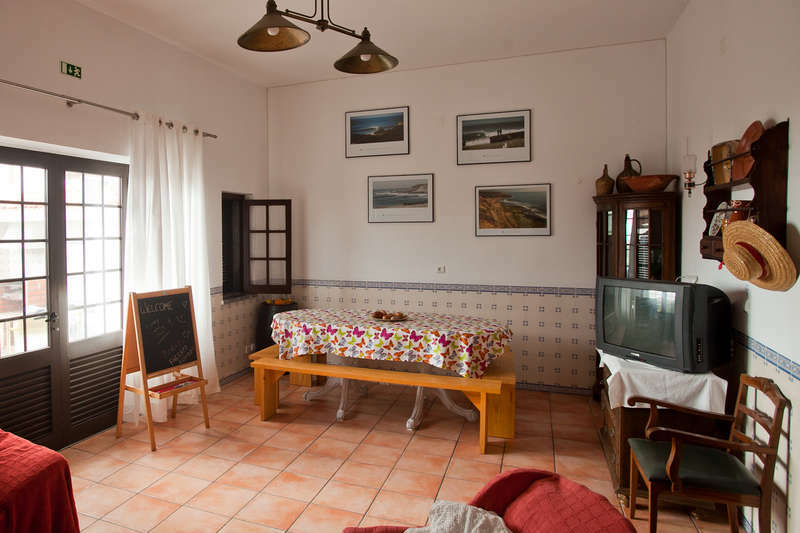 Ericeira Chill Hill Hostel & Private Rooms – Peach Garden is located near Ericeira Chill Hill Hostel & Private Room (1), 50 meters of distance, in the same street, where is the reception for both Hostels, and right next to the Ericeira Health Center. It features a shared lounge area and a garden fitted with BBQ facilities. With views of the surroundings or to the Atlantic Ocean, private rooms and dormitories with a great sea view, all come with free Wi-Fi access. 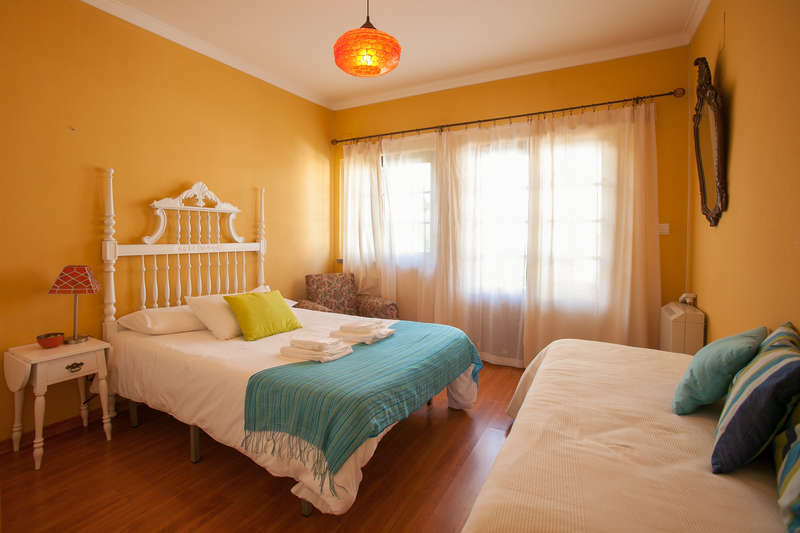 Ericeira Chill Hill Hostel & Private Rooms – Peach Garden is located 40 km north of Lisbon. It is a 10-minute drive from the Mafra National Palace and a 35-minute drive from Sintra where you can find features several national landmarks, such as the Pena National Palace, the Moorish Castle and Quinta da Regaleira. The Lisbon centre is 50 km away and has historical areas such as the Chiado, Bairro Alto and Alfama. 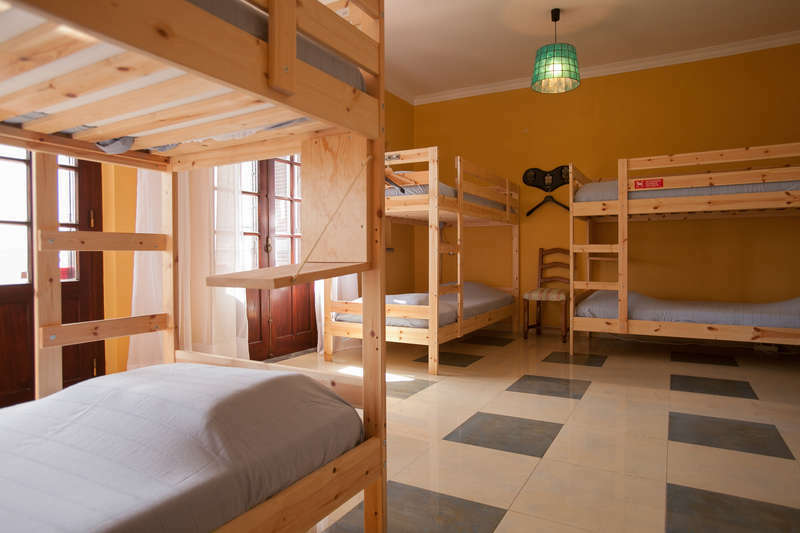 Ericeira Chill Hill Hostel & Private Rooms – Peach Garden can arrange a shuttle service to Lisbon International Airport, located a 40-minute drive. Contact us, if you wish that service. This Hostel – very nice and comfortable – is an ideal local where you can relax in the great Lounge or in a balcony, when you return to the beach or to make surf. Highway A8 and then A21 will take you to Ericeira: Leaving the airport follow the signs towards highway E1 direction A1 Norte/A8 Oeste/A12 Sul; take exit 14 on IC17/CRIL towards A8 Oeste; take the exit towards A8 direction Leiria/Loures and follow that road for 16km; take exit 5 towards N8/Mafra/Malveira and follow the highway A21 until the end. After passing the toll take the 3rd exit at the roundabout on Rua alto da Camacha, follow the road for 700m and turn left on Estrada do Rego (or Rua do Rego); at the 3rd junction turn right on Rua Coronel Bento Roma, then take the third road on your right, it´s our street, Rua Nelson Gomes Salvador. Follow the small road until the end: the Hostel is the last house on your left hand side. From the Airport: Metro Red line to Saldanha, in Saldanha change to the Yellow Line up to Camp Grande. In Campo Grande take a Mafrense Bus to Ericeira . After youy've arrived to Ericeira Bus Station it's only a 5 min. walking. From Bus Terminal: Take the back door of the bus station, turn right and go up the hill on Rua Orlando Morais. At the roundabout turn right (Rua Eduardo Paulo). At the next roundabout turn right (Rua José Gomes Salvador). . At the end of the street turn left on Estrada do Rego and left again (it is the first left you can take). Walk straight on Rua Coronel Bento Roma until you are in front of a big brown building (Centro de Saúde): turn right there: last building on the left. We have no specific cancellation policies. We just ask you to be considerate and cancel ,at least, three days prior to your arrival date.